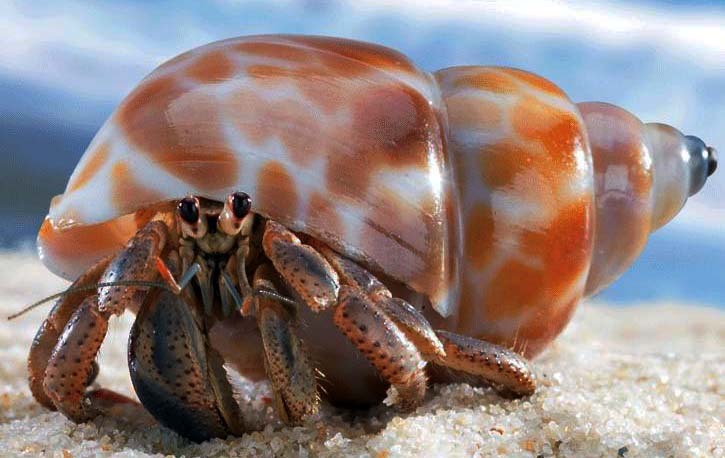 At Times Like This I Think Of The Hermit Crab. Don’t You? I’ve been drifting and feeling lost with no answers. My last long house-sit was in April. Since then I’ve been blessed with short house-sits, living rooms and welcoming friends. But after 6 months of transience, 8 towns, 3 countries, I’m wanting a base just for winter. But how can I afford rent? How can I even find a short let or long house-sit in Exeter? How, how, how? When I feel totally stranded, it’s like being shell-less. It means I have grown out of my past and yet the future hasn’t materialised yet. I feel ungrounded, uncertain and vulnerable or afraid. Yet there is no use in trying to go back to what I was doing before – that shell no longer fits. The only way is forward. I will never find my new shell unless I completely focus on looking for it, without wasting energy hesitating or looking back. After only 24hrs, the impossible had happened: I’d been offered a room in a beautiful cottage, 2 miles from Exeter, from now until the end of January! Even more miraculously, I can afford it! All that’s been asked is a small contribution to bills and some help with DIY, but no rent. I feel like the luckiest houseless musician alive! Well, amazingly some friends are doing up a room to start renting out at the end of January. Whilst it’s being re-decorated, of course they can’t let it… after all, who would want a room in that state? Who indeed, but a van dwelling musician needing an indoor space for the winter? Of course I don’t see it as a worn out, undecorated room, but a beautiful haven. I can get all my instruments out of storage and practice to my heart’s content. Whilst this seems like a mutually beneficial arrangement, I know my friends won’t gain much from it financially. They are really doing me a favour, which I gratefully accept. Against all the odds I’ve been offered exactly what I need, and remembering the hermit crab has really helped me find it! Of course some people might not like to see themselves as moving from one shell to the next, because of course all shells are rigid and limiting. But when a shell fits, its rigidness becomes stability and its limits boast corresponding freedoms. A shell that’s exactly your shape is a haven, but one that’s too tight is an agony. The key is to be willing to change it. For the last 6 months, my shell has been “transience”, never staying put for more than a week. The restriction of having to constantly move on, felt instead like freedom to roam. Next my shell will be a room in a cottage where having to stay put will feel like having the freedom to settle and relax. This year’s big turning point has been to stop fighting the fact that I change my shell often. I do have some constants: music, Buddhism, friends, but I definitely crave varied environments and to try new things. I didn’t used to think I could keep the same job for years, but now I think I could if it involved constantly working on fresh projects and visiting a variety of places (much like a touring musician I suppose). So check your shell today before it gets too tight. It might be time for a new one. The power of blogging: Blogging shows alternative lifestyles ARE possible. When I read other alternative lifestyle weblogs, people keep talking about ditching their affluent day-job for a simpler life. I never had one. I wonder if people connect more with those who were struggling to keep up with the Joneses when they turned away from it all. People who feel trapped in their 9 to 5 grind often look at me and say “it’s alright for you, but I need a job”. 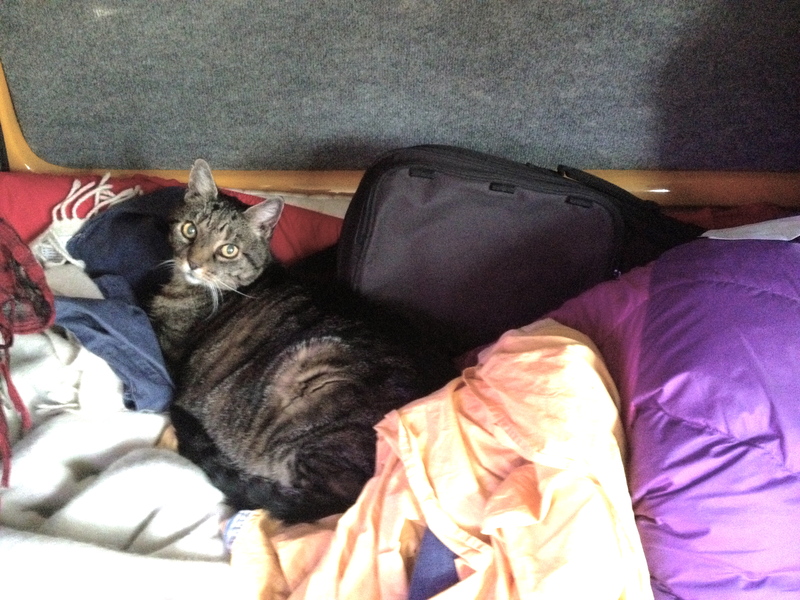 Cat wants to see the world, tries to stow away in my van, because he know’s anything’s possible. I can understand where they are coming from – this would all be so much harder if I had a child for example. But here’s an article about a single-mum in Australia who has given up buying anything new for a year. As if that wasn’t enough, she then decided to give up her home, and live out of her car with her young daughter, between WOOFing & housesitting. Some might see her as an irresponsible mother but she quite rightly points out that it’s the best way to teach her about what’s truly important in life, which is what any responsible mother would do. This doesn’t mean that every single-mother should do the same, but it helps me enormously to discover that anything is possible. I like to remind myself that if there’s anything I think I can’t do, someone out there is probably doing it right now. Knowing this helps me push through and achieve what I thought was impossible. 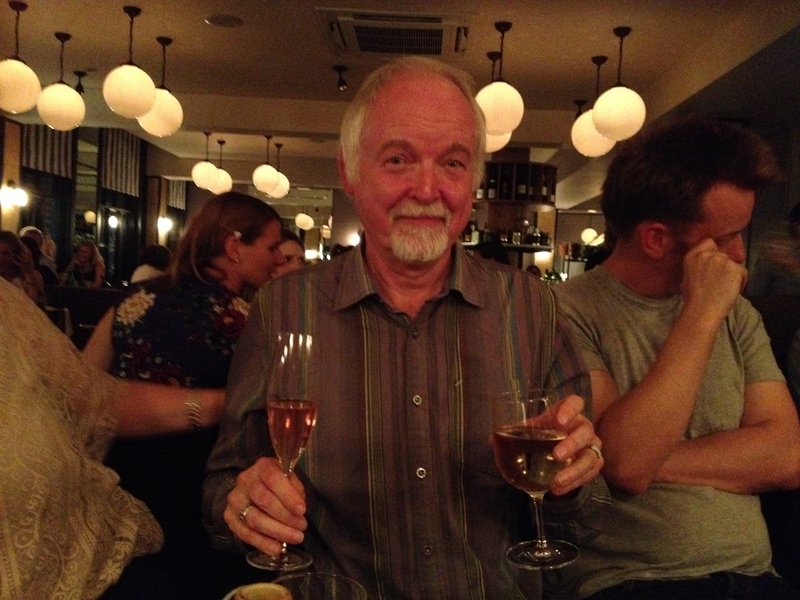 Man tries to drink 2 glasses of wine at once. He has high hopes, and he knows anything’s possible! In another article, one woman explains how discovering a minimalist weblog during a period of depression lead her to totally give up excess and turn her life around. So if you’re thinking of writing an alternative lifestyle weblog, I’d encourage it. It’s more important than we realise. In some ways, I do fit the stereotype of an alternative lifestyle blogger who quit their day-job. I just did it early. Here’s how I came to alternative living. I worked as hard as I physically and mentally could through school and university, wanting to give myself the best chance at a career. Then I found myself working even harder at teaching alongside a PGCE, struggling to make ends meet with sky-high rent. My health was suffering but I just pushed through it. I wondered why I’d put in all the effort to get a decent job when even that wasn’t enough to give me a comfortable lifestyle. God knows how people on minimum wage cope! Then I realised that I was supposed to work my way up for the next 10 years, with extra push upon extra push, all so that I could finally earn enough to relax. After a year and a half I thought… sod it! Why not just relax now?!? 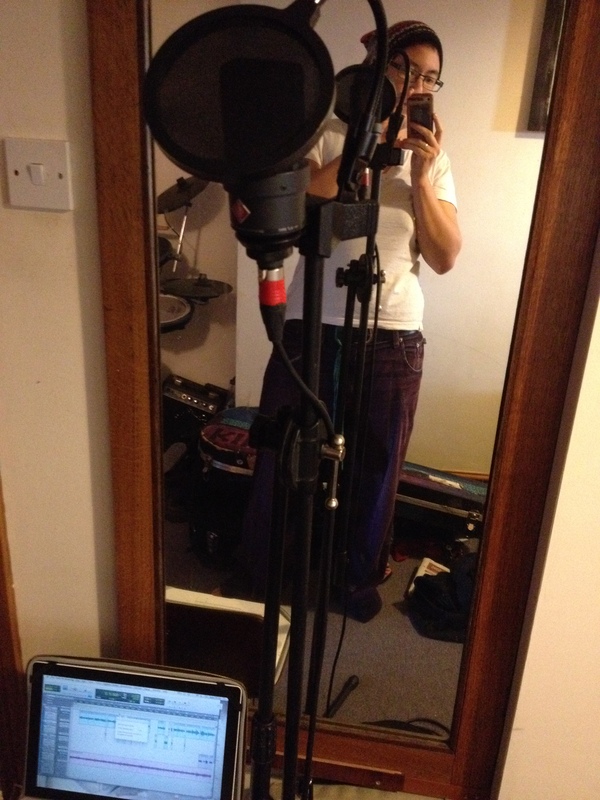 Musician records album in living-rooms, bedrooms and hallways. Well, after all, anything’s possible. So I quit, and from then on, I refused ways of life that I found stressful, even if those around me were happily working themselves into the ground. If I’d spent 10 years building up my career, I wouldn’t be able to relax now because overworking would have become a long ingrained habit. As it was, it took years to break the habits of overworking that I’d developed during my education. Now I think I’ve done it. The £0 Challenge was a real turning point for me. These days I earn less than I ever have, and am happier with my lifestyle than I’ve ever been. I realised recently that I actually qualify for jobseeker’s allowance (although I don’t believe in claiming benefits myself), and of course I can’t afford rent. But none of that feels like failure, because breaking the habit of overworking is a huge success! And of course, ironically I’m more productive than I’ve ever been! The funny thing is, I’m actually starting to want to work more, whether freelance, pay-what-you-want, or employed… I feel ok about that because I know I wouldn’t push myself to burn-out this time. Winter’s coming and it’ll be hard if I’m in the van. I’m starting to want a base – to find a pitch and build that Tiny House I’ve spent 5 years dreaming of. What does all this mean? Am I moving towards having a normal life?